Ted Cruz was right about Obamacare it seems. It pains me, as a moderate Democrat and Obama voter, to admit the president has got it awfully, tragically, incompetently wrong on Obamacare. He is making Senator Ted Cruz look like a genius retrospectively when he filibustered the health care law a few weeks back. At the time we dismissed him as a crank, deeply unpopular on his own side and creating a massive problem for his party. We were openly delighted at the GOP follies as they failed to block Obamacare and brought government to a grinding halt. 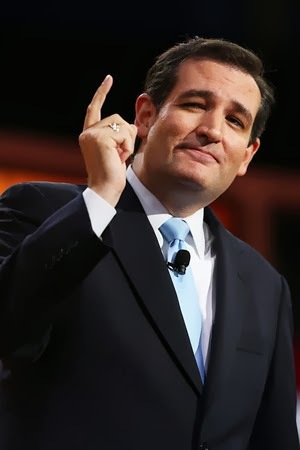 Indeed, Cruz looks positively visionary. He called it right, the law is a confusing maze of regulations and rules that has baffled even the experts trying to understand it. Indeed, Obama himself clearly did not understand he could not guarantee any American their same health care under the new rule. I don’t think he was lying when he made that disastrous promise. I don’t think he even understood his own law. His Health Secretary Kathleen Gilligan Sebelius sleepwalked him into disaster, telling him the computer sign-up plan was ready and staff were raring to go. Amazingly, she still has her job. What would she have to do to lose it? And if he can’t understand it what chance does Joe the Janitor or Wendy the waitress have? Which is exactly what Ted Cruz swore would happen, that it would be all too complicated and liable to baffle ordinary folk. Well it is. Ted Cruz was right and Obama was wrong which means we Democrats have to do some deep rethinking. Maybe Obama is not competent after all, the one virtue we always ascribed to him. We knew he wasn’t warm and fuzzy, was not a deep emoter, but we hoped somehow he was able to gloss all that over with competence. Now that is up to question. He seems trapped in a bubble, moving far too late to shore up his health care law as he failed to spot the disastrous roll out. Meanwhile Ted Cruz may have ridden this horse all the way to the Republican presidential nomination of 2016. And Obama is likely left flogging a dead horse called health care reform. And many of the public are left with the equivalent of horse droppings as their health care plan.